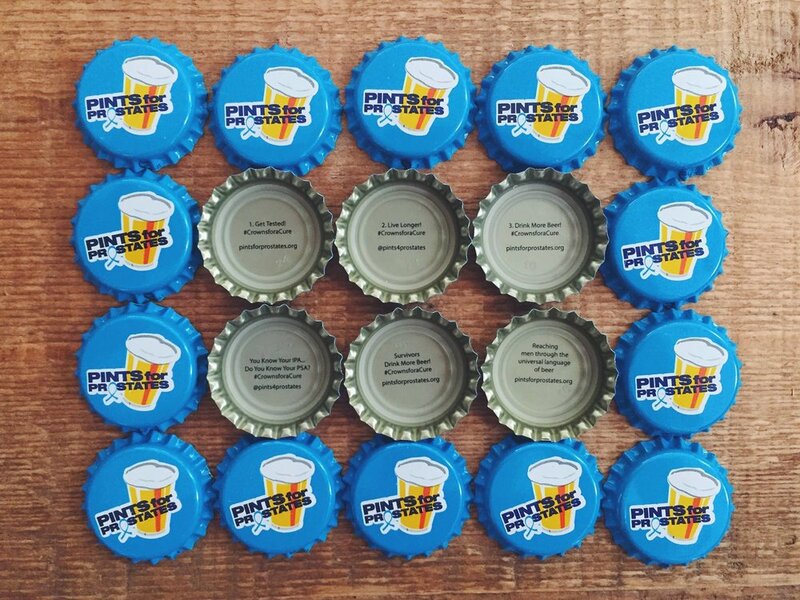 Since 2015 Pints for Prostates has been using simple bottle caps to get men talking about prostate cancer. In 2017 Pints for Prostates partnered with 51 craft brewers across the United States to use the everyday, run of the mill bottle cap to start conversations about a critical men’s issue and encourage guys to take charge of their health. As part of Crowns for a Cure 2017, Pints for Prostates distributed more than 2 million bottle caps – known in the beverage trade as crowns – to craft brewers around the country to use on beer they packaged for distribution during September, which is National Prostate Cancer Awareness Month. The crowns featured the Pints for Prostates logo on the outside, with messages under the caps designed to encourage men to learn more about the importance of regular health screenings. Each brewery taking part in the program received between 10,000 to 70,000 Pints for Prostates crowns. The brewers from 27 states used the caps in bottling runs and distribute the beer to retail accounts during September. · Bear Republic Brewing, Healdsburg, Calif.
· Boston Beer, Boston, Mass. · Empire Brewing, Cazenovia, N.Y.
· Middle Ages Brewing, Syracuse, N.Y.
· Smuttynose Brewing, Hampton, N.H.